Are you after a professional tree surgeon in Clapham? South London Tree Surgeons have been providing expert tree surgeons Clapham wide for more than 10 years. We’re happy to take on any arboricultural project, no matter how big or small and always provide a friendly, hassle free service. Let’s take a closer look at some of our most common tasks that we’re asked to carry out in Clapham and the surrounding South London area. Our professional tree surgeons Clapham are fully NPTC qualified to carry out a wide range of tree surgery projects including crown reduction, crown thinning, pruning, reshaping and much, much more. If you can’t find the exact service you’re looking for on our website then contact our tree surgeons Clapham for a tailored consultation. Whilst the complete removal of a tree is often a last resort, it’s often necessary to resolve or prevent a danger to people or property. 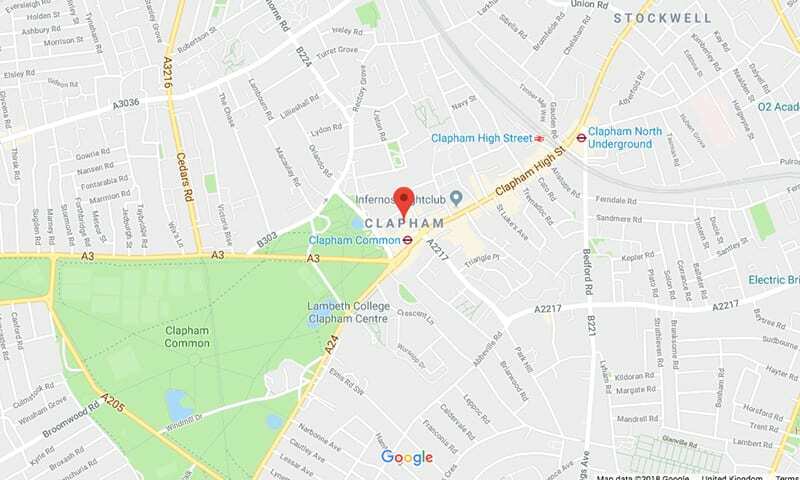 Tree removal in Clapham is common due to the high number of residential and commercial spaces and can help to prevent the spread of disease to other trees in the vicinity. If a tree begins to exceed its existing boundary, is becoming cluttered or simply needs tidying up then tree pruning in Clapham could be the perfect solution. This involves using tree surgeons Clapham to remove branches, deadwood and twigs to increase light and air flow as well as opening up sight lines into other areas. Tree pollarding in Clapham is a more extreme version of pruning but is required by certain species if they’re to live long, healthy lives. Tree surgeons Clapham will strip the tree back, removing multiple branches to create a more open space in which it can regrow. Tree stumps can be incredibly stubborn to remove safely without the right equipment, but fortunately South London Tree Surgeons can help. Our tree surgeons Clapham use the latest stump grinding equipment to completely remove the stump without damaging the surrounding garden. For a free, no obligation consultation with one of our experts, Contact Us today and we’ll be more than happy to provide a quotation on your next tree surgery project.